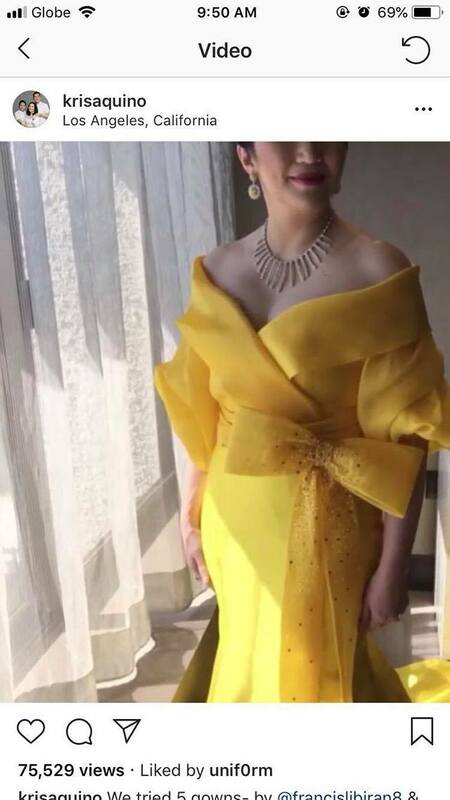 Kris opted for a yellow gown for the red carpet premiere in Hollywood. 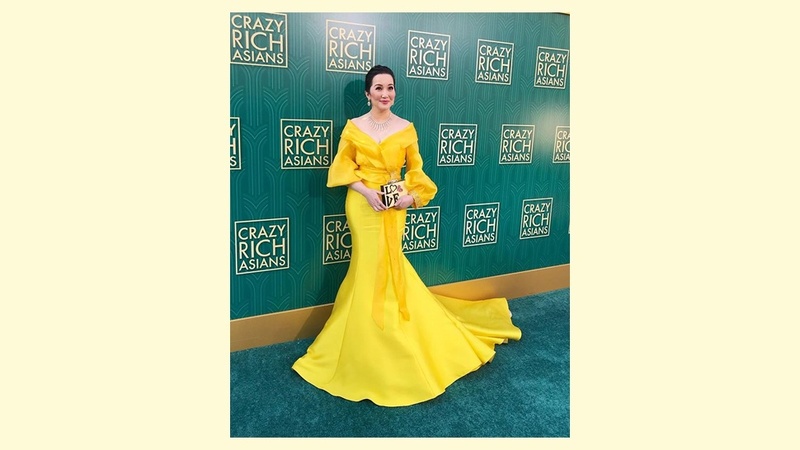 Kris Aquino walked down the red—er, emerald—carpet wearing a Michael Leyva creation at the Crazy Rich Asians premiere held at the TCL Chinese Theatre in Hollywood. 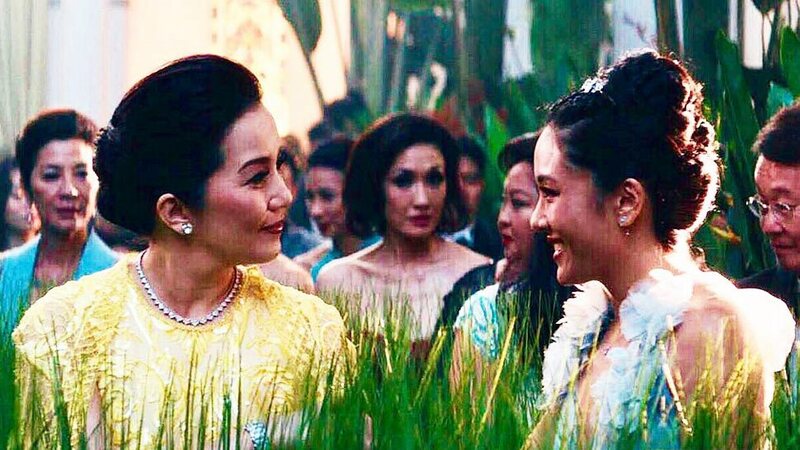 In the movie, Kris plays Princess Intan, a role that Crazy Rich Asians author Kevin Kwan described as a "highlight" in the film. 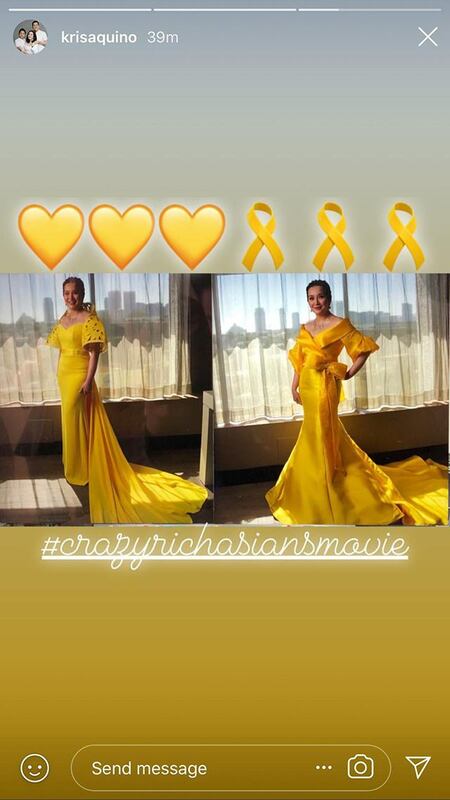 In an Instagram post, Kris shares that she tried on five gowns made by Francis Libiran and Michael Leyva, before she eventually decided to wear the latter's yellow off-shoulder, terno-esque creation. The serpentine dress cascades to a train and features ruched sleeves and a statement bow. 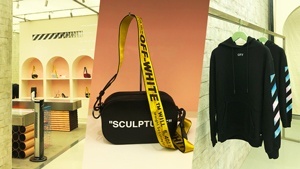 Kris opted for the gown on the right for the red carpet premiere of Crazy Rich Asians. 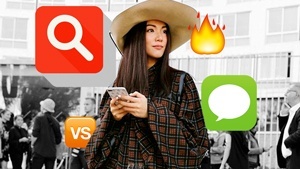 The Queen of All Media accented the frock with jewelry from Diagold. 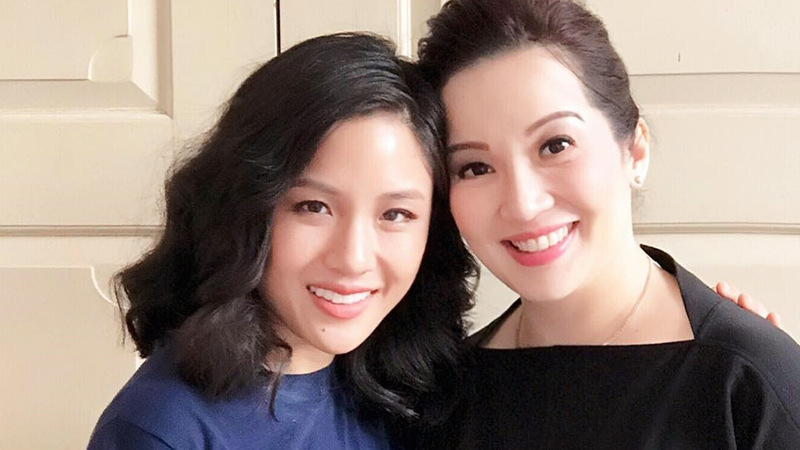 Makeup artist RB Chanco was in charge of the actress' makeup while LA-based Filipino hairstylist Pin Antonio made sure her updo was perfect. Kris was accompanied by her son, Bimby, at the world premiere. Meanwhile, Kris is expected to be wearing a fully-embellished Michael Cinco gown in her scenes in the movie. 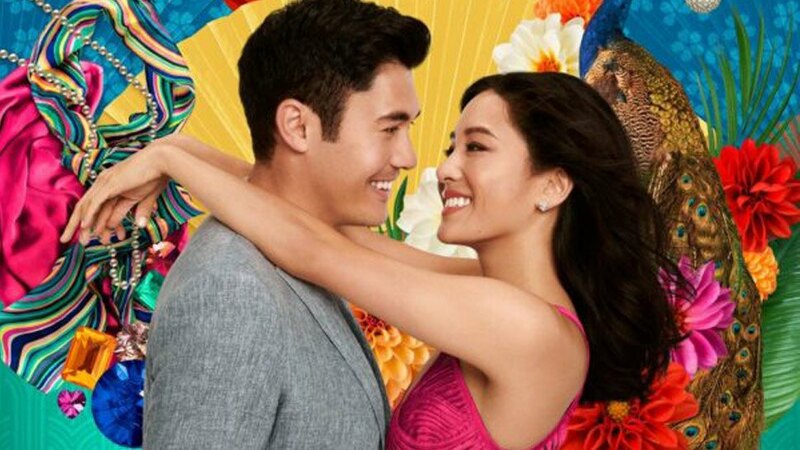 Crazy Rich Asians will be showing in Manila starting August 22.